Growing Conditions: Sun. Lean, constantly moist limey soil. Wildlife benefits: The flowers are visited by a variety of insects. One of the flower-visiting bees, Andrena parnassiae, is a specialist pollinator (oligolege) of Grass-of-Parnassus. From Ottawa Valley or eastern Ontario sources: Original seed collected on the Bruce Peninsula, Ontario. Remarks: A gem for the fen garden. Worth creating a fen garden to grow! 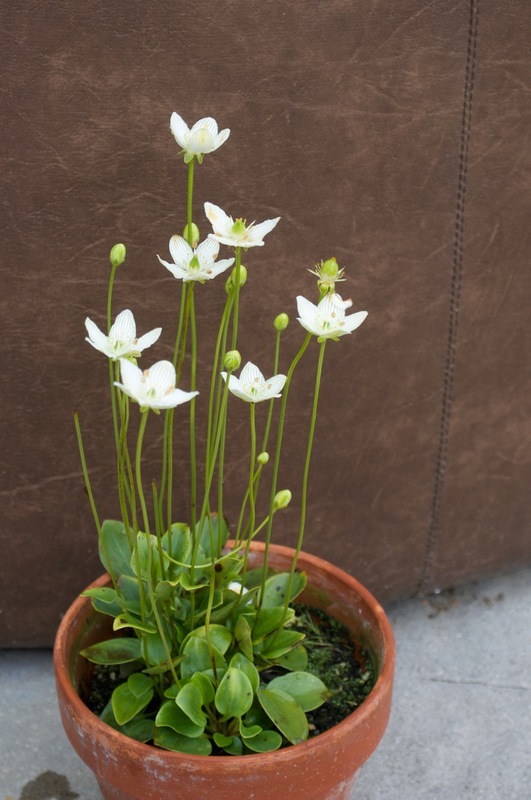 Similar species: See also Sticky False Asphodel for a good companion plant.